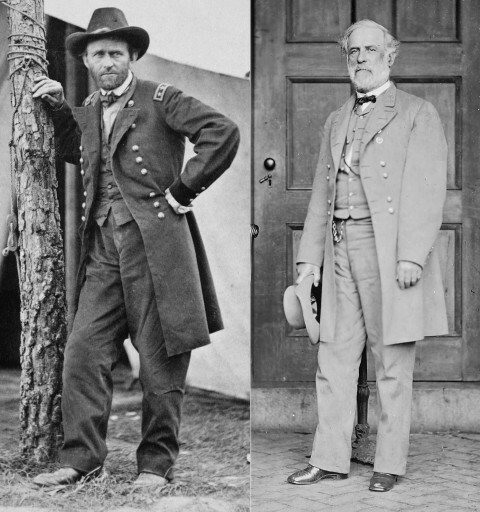 On which that genteel butcher Bobby Lee, surrendered the treasonous Army of Northern Virginia to General Ulysses S. Grant. Grant’s terms have generally been regarded as generous, to the point that the military leaders of the rebellion were spared the threat of criminal trials for the actions in defiance of properly constituted Federal authority. Looking forward, not back, is no new trope in American politics. Apologists for the Lost Cause trump up the usual counters — I’ve just been batting this around with a wistful mythologist on Twitter. The battle wasn’t for slavery, but state’s rights; the men under arms weren’t traitors — they were just soldiers fighting other men’s battles, or for a misguided but sort-of reasonable goal; and so on. That is: only reason secession occurred is because the South finally lost an election. 32. 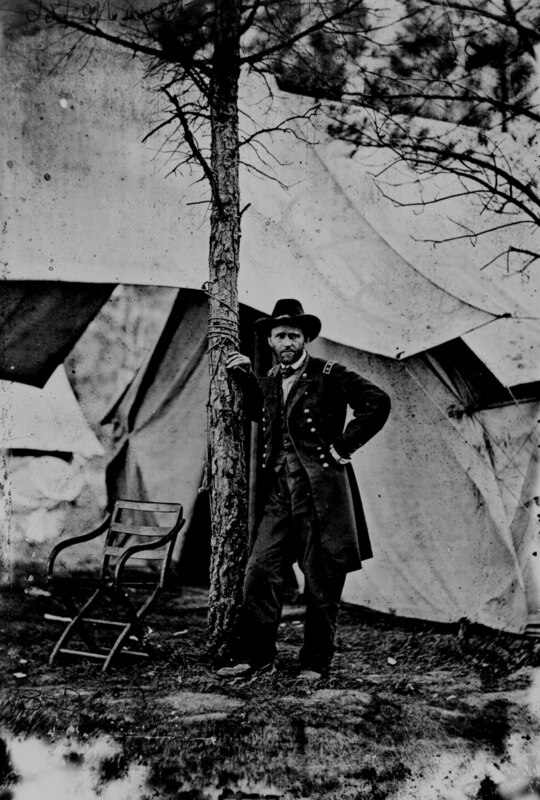 Lt. Gen. Ulysses S. Grant standing by a tree in front of a tent, Cold Harbor, Va., June 1864. 111-B-36. 145. 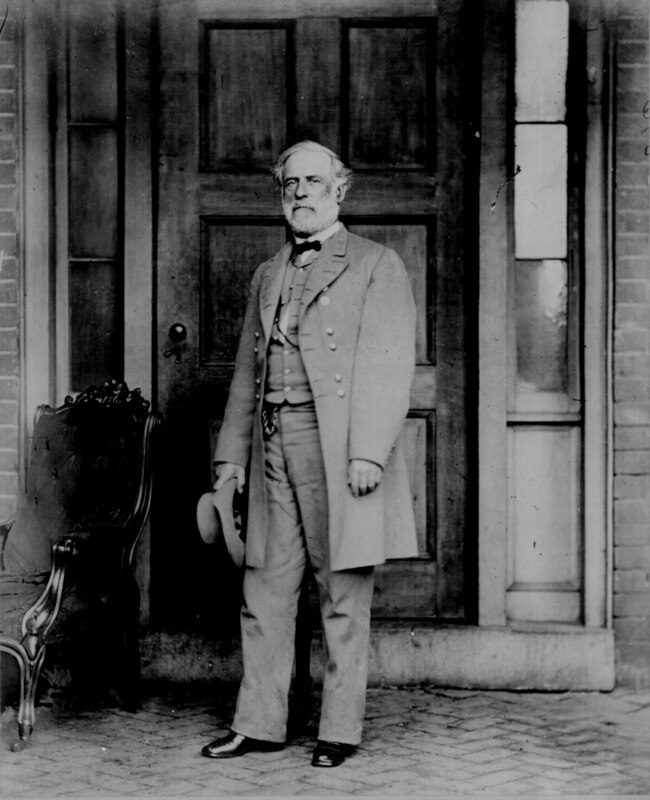 Lee, Gen. Robert E.; full-length, standing, April 1865. Photographed by Mathew B. Brady. 111-B-1564. This entry was posted on April 9, 2015 at 5:44 pm and is filed under The Way We Lived Then. You can subscribe via RSS 2.0 feed to this post's comments.